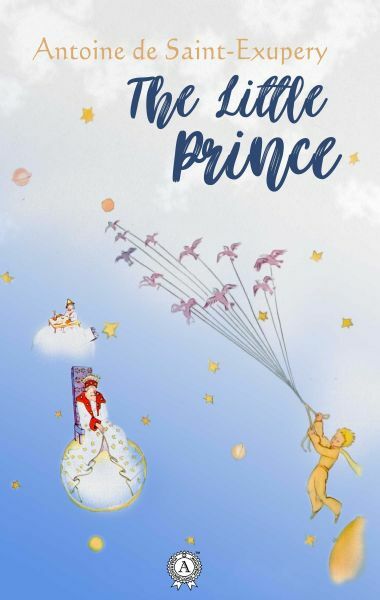 The Little Prince (French: Le Petit Prince) – is an allegorical fable and the most famous work of Antoine de Saint-Exupery. It was first published in April 1943 by publisher "Reynal & Hitchcock" in both English and French. Saint-Exupery wrote the novella while living in New York City; a city he fled to after the occupation of his native France by Nazi Germany. The literary roots of the fable are based on the wandering plot of the rejected prince; while the emotional – on a child's view of the world. The story line is built around the travels of the Little Prince who hails from the tiny planet B-612. Gradually, his journey becomes not just the literal movement from planet to planet, but more of a way to discover life and the world. Thanks to Saint-Exupery's artistic methods, adult readers see in the fable, a transcript of a conversation of two old friends; while children get a vivid and easily understandable description of the world that surrounds them. Due mostly to these two factors, The Little Prince has achieved such high levels of recognition and popularity.